!Warning Metrobus Drivers Houston, Texas, Or City Bus Drivers! Do not try to pass a high speed sprinting pedestrian while that pedestrian is already well over the speed limit, or else you could get a speeding ticket, or you could get into an accident, or you could pass up your bus stop with waiting passengers. Just drive the speed limit and maintain your following distance that would give you enough time to stop that you are require by law to do. Motorist or any other vehicle operator are required by state law to observe any pedestrians in the road, and that's including highspeed pedestrians that is running over the speed limit, and try to avoid striking that pedestrian with their vehicle. The X12 does his sprints only on the streets in the downtown Houston area because he is over 25 MPH with his 260+lb body, and there too many people and open businesses on the sidewalk, and parking garage with busy traffic at the entrances and exits in the downtown Houston area especially during the day time, and the X12 does all his fastwalking on the sidewalks, and the X12 doesn't do any fastwalking in the streets, except crossing the street on a walk traffic light sign in the crosswalk, or on a green traffic light, or when there is no oncoming traffic near by. As long as there is no people or open businesses on the sidewalks, the X12 runs on the sidewalk as long as there is no people and open businesses there, and the X12 will not get in the streets unless he is crossing that street when there is no oncoming traffic nearby. The X12 will not do any sprints on roads the has speed limit over 30 MPH whether that sidewalk that has people or open businesses or not. 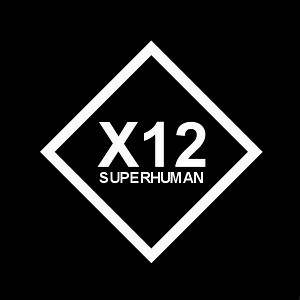 Don't be afraid of the X12, the X12 will not use his superhuman abilities to do any crime, or break any laws. The X12 use his superhuman abilities to only to fight crimes when the corrupted police would fail to deal with those criminals. The X12 will use his superhuman abilities within the law, and the X12 is familiar with the Chapter 9 of the Texas Penal Code of the self-defense law in what kind of force that he can be legally used, and the X12 is trained in some martial arts, and trained by military in the U.S. Army in rioting training to use minimum amount of force to control the belligerent from seriously injuring the victim. The X12 will not stop a criminal from destroying property unless the owner of the property would give him permission to protect his or her property, and that is law. The X12 knows the law almost as much as the lawyers, district attorney, judges, and law enforcement officers, and the X12 will use his abilities only within the law. So you need to worry more about those criminal doing crime on your bus than worrying about the X12. The has used his superhuman abilities to save a 2 year old child from running into the streets busy motor traffic, the X12 has pushed cars that ran out of gas into gas stations, and the X12 has pushed cars that stalled out of rain water flooded streets on to higher ground. he X12 called the police to get a crazy man off the freeway that was throwing himself in front of oncoming 60 MPH traffic on I-10 freeway. If the X12 would have problems with a misconduct Metrobus driver, the X12 doesn't not get angry and argue with any Metrobus drivers in which that jeopardize the safe operation of that Metrobus, and the X12 always go online on Metro's website to file a complaint on that misconduct driver, and let their supervisor call them in to deal with that bad driver. The worst I have seen a Metrobus driver did is cuss a passenger out, and those Metrobus drivers need to be careful what they say or do because passengers has recorders on their cell phones including the X12 that has a smart phone too. So drivers worry about the X12 falling, but don't worry about the X12 falling down, because the X12 is paying close attention to his running path, and the X12 checks his running path before he start running, and sometimes the X12 measures his running path. The X12 does some ice skating, and bicycle riding sometimes, and the X12 has very good balance, and he very seldom falls. If the X12 is on the sidewalks sprinting, do worry worry about the X12 falling from the sidewalks into the road, the X12 is already familiar with his running path on the sidewalk, and if the X12 fall on the sidewalk, he is already out of your way of motor vehicles on the road. The X12 does know how to fall in order to prevent himself from getting injured. Do not worry about the X12 getting back on the road right in front of you, because the X12 watches for oncoming motorist and yield to them before he gets back on the road again to sprint, and the X12 has to obey traffic laws just as much as the motorist do. The pedestrian can legally run above the road speed limit in the state of Texas as long as that pedestrian doesn't cut in right in front of oncoming traffic on the road, but vehicles can't go over the speed limit without getting ticketed by law enforcement. A 260lb high speed pedestrian sprinting 35 to 40 MPH like the X12 has an impact force equivalent of 3 to 4 225lb NFL football running backs at 20 MPH, or a 3200lb Nissan Altima at 11 to 12 MPH, or a Harley-Davison motorcycle at 20 to 22 MPH, and also it has an impact force equivalent of 40 to 50 foot fall in that is more than enough to do body damage on that bus. In downtown Houston, The X12 has to run on the streets instead of sidewalks if he is foot sprinting 25 MPH or faster with his 270lb bodyweight if there are a lot people, and open businesses are on those sidewalks in downtown, and it would be safer for the X12 to sprint on the downtown streets, instead of the sidewalks. If that high speed sprinting pedestrian has the right away on the road, yield to that right away, or else if you would pull out in front of that right away pedestrian that's sprinting over 35 MPH, you could injure that pedestrian, and get body damage on that bus, or if you pull out on the road with the oncoming right away of sprinting pedestrian on your right side of your bus, that high speed sprinting pedestrian could crash through the doors of that bus, and injuring that sprinting pedestrian and the busdriver, or a passenger if that high speed pedestrian slam through rear door of the bus. If you do get into an accident with a highspeed pedestrian, and you are at fault for failing to yield that pedestrian's right away, you're going to have a hard time explaining to the authorities and your Metro or City bus supervisors what happened without witnesses or surveillance videos to collaborate your story about the accident. Some Metro supervisors know about the X12 high speed superhuman, and they have seen the X12's superhuman performance videos, but not all of them, and those Metro supervisors need to know about high speed superhumans for the purpose of the safe operation of that 20 to 30 ton Metrobus so that those supervisors could warn their Metrobus drivers to be careful whenever they see the X12 doing a high speed sprint over 35 MPH on the road on a 30 MPH speed limit road, and those Metrobus drivers shouldn't try to break the speed limit just to keep up or overtake that X12 highspeed superhuman that is sprinting well over the road speed limit by 2 to 10 MPH over the urban unposted speed limit, and the X12 will get off the road once he is below the road speed limit, but the X12 can not safely get off the while sprinting above the road speed limit, and risk crashing into road sign post or other roadside obstacles. The X12 will not get back on the road while sprinting at or below the road speed limit, and it's against the law for pedestrians to impede traffic on the road, and the X12 always stay in the right lane near the curb like bicyclist and joggers are required by law to do. !Attention Light Rail Train Operators! Do not close the train door on the X12 while he is on the train station platform approaching the train door, or else the approaching 270lb X12 could crash into the closing train door and knock the train door out of alignment with his 10 MPH fastwalk, or taking off sprint from 10 foot accelerating to 10 MPH, and you could also injure the approaching X12 with the closing train door. The 270lb X12 did knock a train door out of alignment on a Metro light rail train after striking the closing train door at around 10 MPH, and made a loud crashing boom noise on the train. So light rail train operators, before you close that train door, make sure there is no one closely appoaching the train doors, or else you could injure that person with that closing door.